I just wanted to do a quick share. 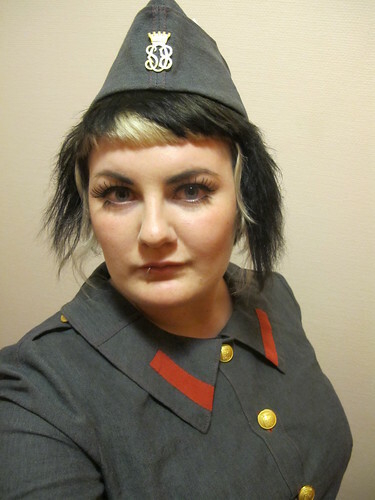 This spring I went to a party with the theme “Peoples republic of Dals Långed”, so I thought that I would do some kind of army clothing inspired by Mao. At that time I had a internship at the theatre in Örebro and there they had the perfect pattern for the hat I wanted to make. I know it is not really a good view of the hat at all, but it the only one I have. 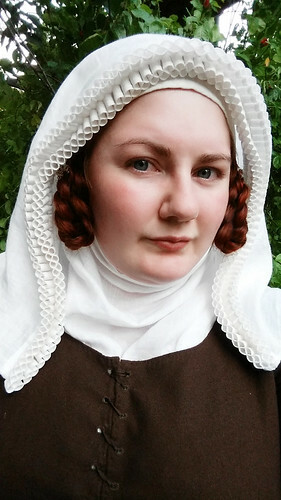 The pattern is taken from a vintage post man hat, but it is a good base for any kind of army hat. The Swedish police wears a hat nowadays that looks just like this hat. The text is in Swedish but I have no doubt that you get the parts anyway. I made the pattern diagram in Illustrator so I have not checked the seams, but it should not differ by more then a few millimetres. Seam allowance is not included. If you are lazy I have this pattern in a printer friendly PDF, just print and tape together.